The 2 hours Beginners Voguing Workshop focuses on the foundations and basic elements of the different Performance Stylez in Voguing. Everybody is Welcome – no prior experience needed! Voguing, known through Madonna’s ‘Vogue’ or recent artists like Rihanna and Beyoncè, is a dance style which has been developed in the 1960’s within the Black, Latinx and Gay Ballroom Scene of Harlem/New York. 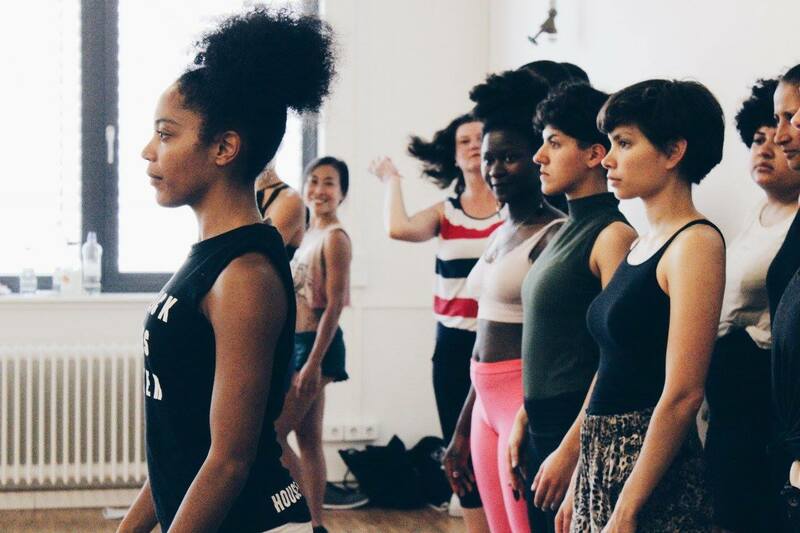 Deeply rooted in New York’s LGBT community, Voguing took a journey through underground clubs in the U.S. and Europe and developed its own Ballroom Scene. Voguing is inspired by the fashion magazine Vogue, its model- like poses and the High Fashion Runway Walk. With the styles Old Way, New Way and Vogue Fem this dance combines masculine poses from Breakdance and Martial Arts, feminine posing and gestures as well as very flexible poses and the hitting of angels, boxes and lines with the body/arms on beat. Old way, formerly also know as pop dip & spin or performance, is the first voguing style which was base for the development of the stylez new way and vogue fem. It is characterized by the formation of lines, symmetry, and precision in the execution of formations with graceful, fluid-like Movement. Egyptian hieroglyphs, Martial Arts, Breakdance, Popping, Military Style and male fashion poses serve as the original inspirations for old way voguing. In its purest and historical form voguing of the old way it is a duel between two rivals.